Rich flavor, juicy tenderness and majestic appearance. The grand champion of beef roasts. 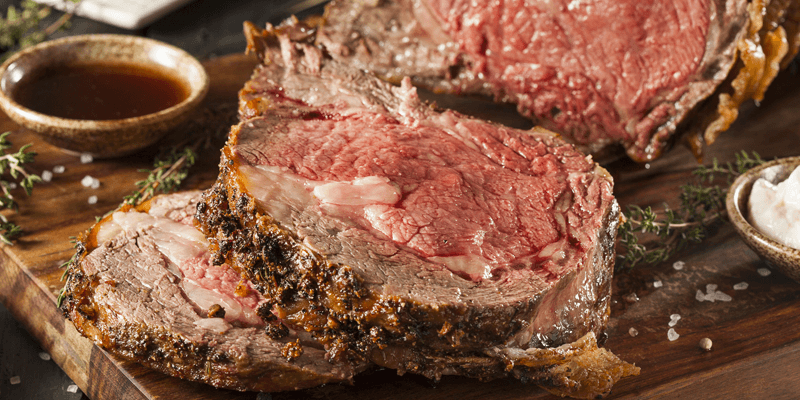 Fine grained upscale prime rib with generous marbling throughout served with au jus. Grilled boneless organic chicken breast, seasoned in our special marinade. Beautiful arrangement of grilled seasonal vegetables garnished with fresh herbs. Mixed Greens, shredded carrot, Hearts of Palm and almond slices in our signature citrus dressing.